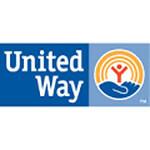 NEW BRITAIN – United Way of Central and Northeastern Connecticut recently launched the United Way ALICE Fund, a new marketing campaign with the goal of collecting money to help families that have earnings above the Federal Poverty Level but below the basic cost of living. ALICE is an acronym for Asset Limited, Income Constrained, and Employed. The 2018 United Way ALICE Report was released on Sept. 2. “Shortly after, we publically announced that we would have a fund this year to help move the needle and help more families be able to afford the basics, start saving, increase their income and decrease their debt,” Maura Cook, director of marketing communications at United Way, said. While this is the third time that United Way releases the ALICE Report, which comes out every two years, this is the first year the organization establishes an official ALICE Fund. This year’s ALICE report states that in New Britain, 28,118 households are living below the basic cost of living. That number accounts for 62 percent of New Britain households and it also includes those who are living below the Federal Poverty Level. According to the ALICE Report, in our region, a family of four with two parents, an infant and a preschooler needs to earn up to $79,000 a year just to be able to afford basics such as housing, transportation, healthcare, food, child care, technology and utilities. For New Britain, the numbers have stayed the same since the last report came out, two years ago. “For families here in our region, housing and childcare makeup more than 50 percent of their survival budget,” Cook said. The money raised through the ALICE Fund is going to support programs and services that have a direct impact on qualifying families’ household budget. Those services include making early childhood education affordable and accessible for all families regardless of their income, making sure that everyone has access to healthy food through the food banks and programs like “Meals on Wheels,” affordable healthcare and providing accessibility to programs that help people get training for jobs that have opportunity for advancement. “That’s what United Way does to ensure that we can help the families that continue on their path to finance stability and eventually make more than ends meet,” Cook said. Donations for ALICE can be made directly from the United Way website unitedwayinc.org/United-Way-ALICE-Fund-Donate. Posted in New Britain Herald, General News on Friday, 14 September 2018 18:11. Updated: Friday, 14 September 2018 18:13.